It's been a while now, but I still remember watching an episode of the NBC series "ER" in which Doctor Mark Green watches as his 10-year old daughter dives to make a save in a youth soccer game, slams head first into the goal post, and is temporarily knocked unconscious. Running on to the field to attend to his daughter, Dr. Green calls for the first-aid kit. The coach admitted that he didn't have one! Unfortunately, this scene is all too typical. The fact is that too many volunteer youth coaches have not received any first-aid training. Few carry first -aid kits with latex gloves, ice packs, bandages, anti-bacterial cream and smelling salts, much less rescue inhalers, or EpiPens. With the explosion in the size of organized youth sports programs, many well-intentioned volunteers are coaching a sport they have never played and thus lack any first-hand exposure to its potential dangers. 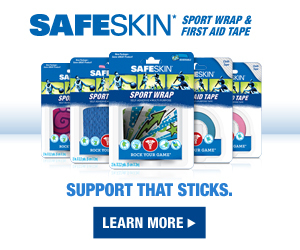 While 81 percent of youth coaches said they believe it is important to be very knowledgeable about sports injuries, only 52 percent said they felt like they were very knowledgeable, according to a recent survey commissioned by SafeKids USA®. Another 43 percent of coaches said they felt only fairly knowledgeable on sports safety. While 6 out of 10 have received some form of sports safety training, with CPR (21%) and first aid (13%) the most common form of training, 40% have received no safety training at all. No mandated national coaching education program exists in the United States for youth sports (we are the only major sporting country without such a requirement), and the requirements for high school coaches vary from state to state, with some requiring only first aid and CPR certification. No wonder, then, that reports describe a general lack of first aid, injury recognition and management knowledge among high school1 and youth2,4 coaches, with some youth sports programs lacking even a basic emergency medical plan. The American College of Sports Medicine recommends that "coaches at all levels ... be required to meet a minimum level of qualification necessary to meet these responsibilities. They should include basic knowledge of skills development, safety rules and equipment maintenance, competence in first-aid, and an introduction to appropriate training methods and coaching behaviors for working with young children." The ACSM's stance is echoed in a 2011 position statement on overuse injuries issued by the National Athletic Trainers' Association,3 which recommends that coaches complete at least one of the numerous online or classroom coaches education programs that are now available. Have you received basic first-aid training? Learn	about the safety risks of the sport your child plays. You may have	heard the ad slogan "An educated consumer is our best customer." It	applies to sports programs as much as to buying clothes or furniture. Parents who are aware of the risks of the sport their child plays can	do a lot to minimize its hazards. Insist	that the training for all youth coaches cover three areas:	sport-specific first aid, CPR, and skill development, with an emphasis	on coaching safe playing techniques (such as the proper way to head a	soccer ball or make a tackle in football). Encourage youth sports programs to hire an athletic trainer or establish a relationship with a local sports medicine physician or practice group to provide game-day coverage. 3. Valovich McLeod TC, Decoster LC, Loud KJ, Micheli LJ, Parker JT, Sandrey MA, White C. National Athletic Trainers' Association Position Statement: Prevention of Pediatric Overuse Injuries. J Ath. Tr. 2011;46(2):206-220.